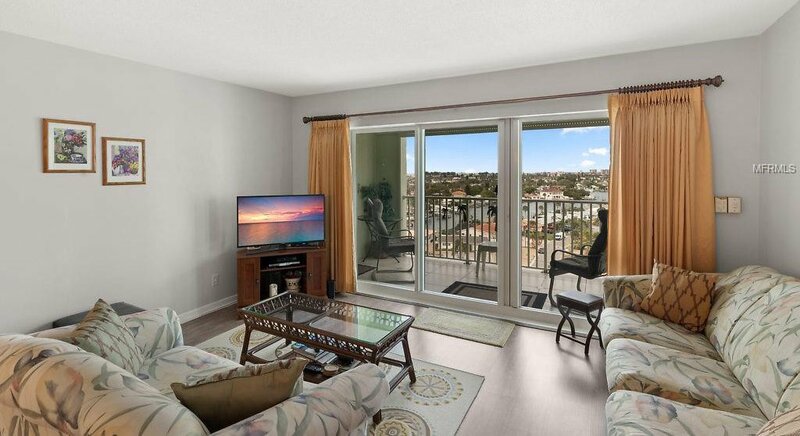 Are you looking for the best sunset view without leaving home? 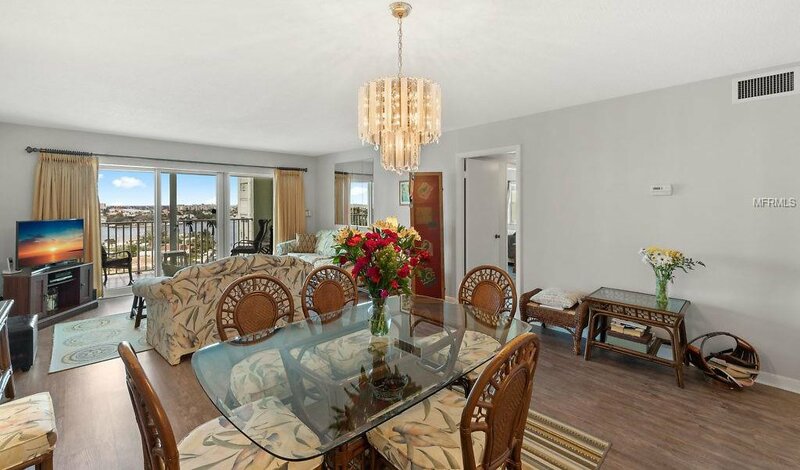 Then this 10th floor condo is waiting for you! 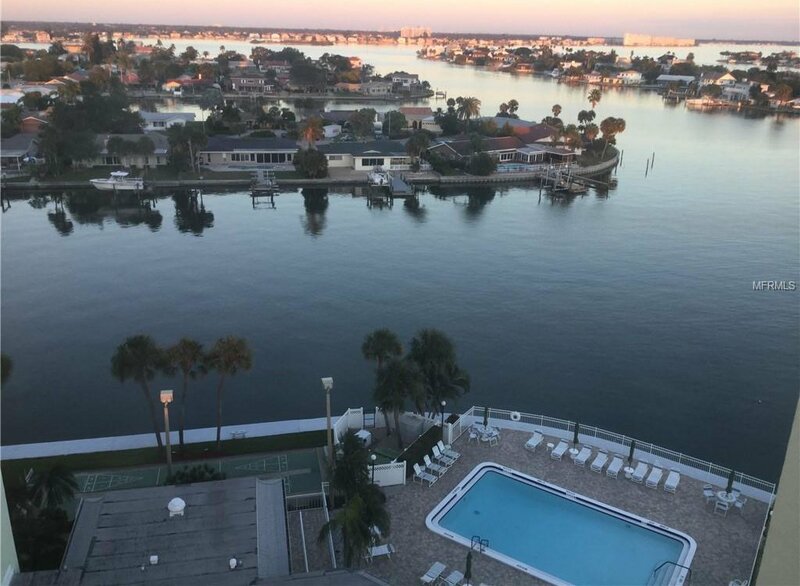 Enjoy the sunrise from your master bedroom window in the morning and the spectacular Florida sunset from your balcony every evening. 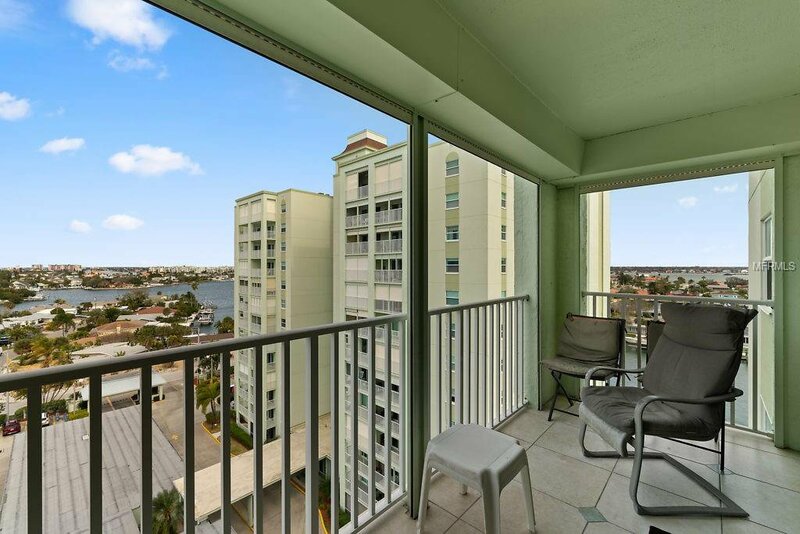 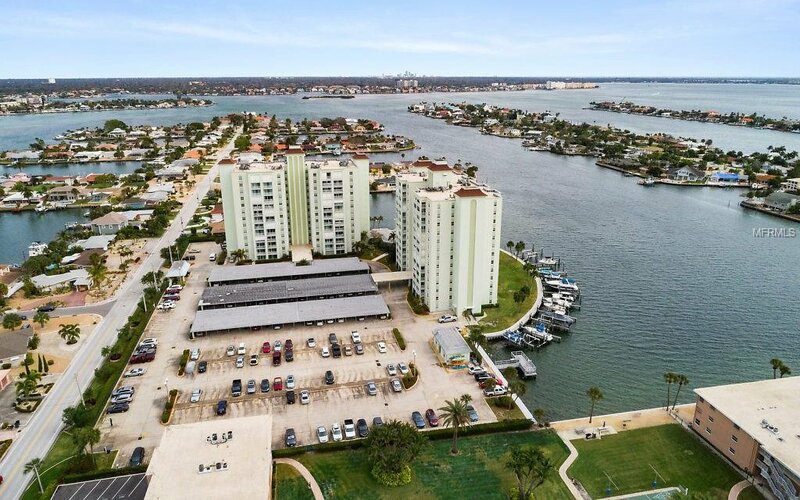 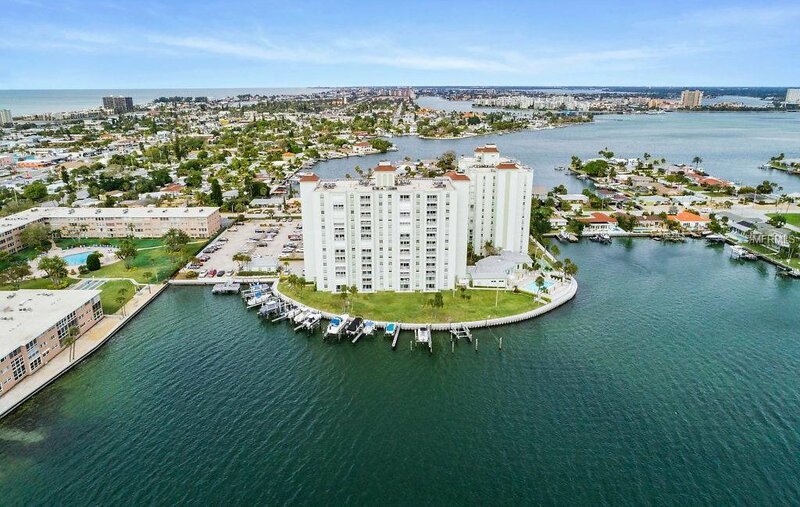 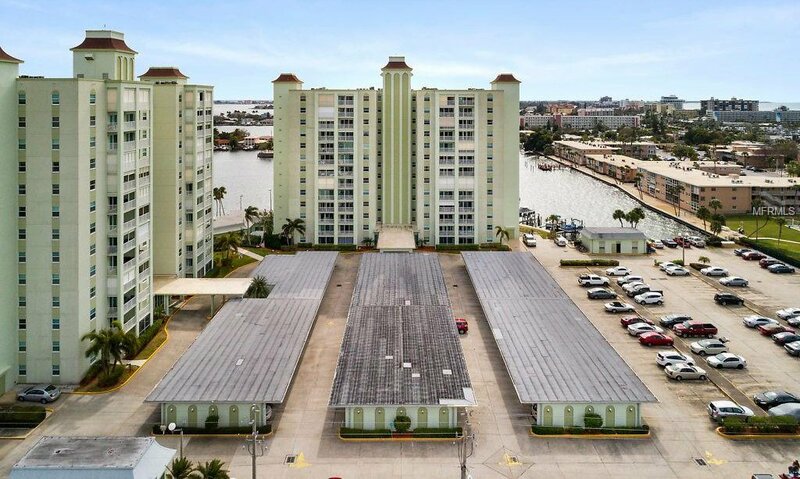 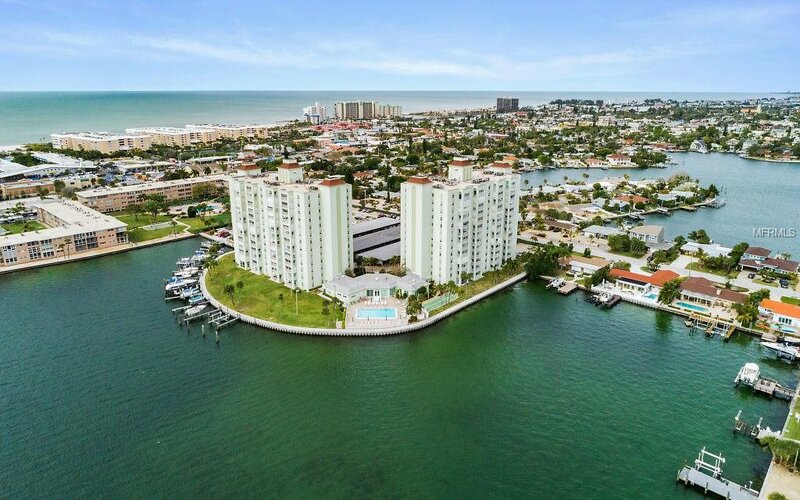 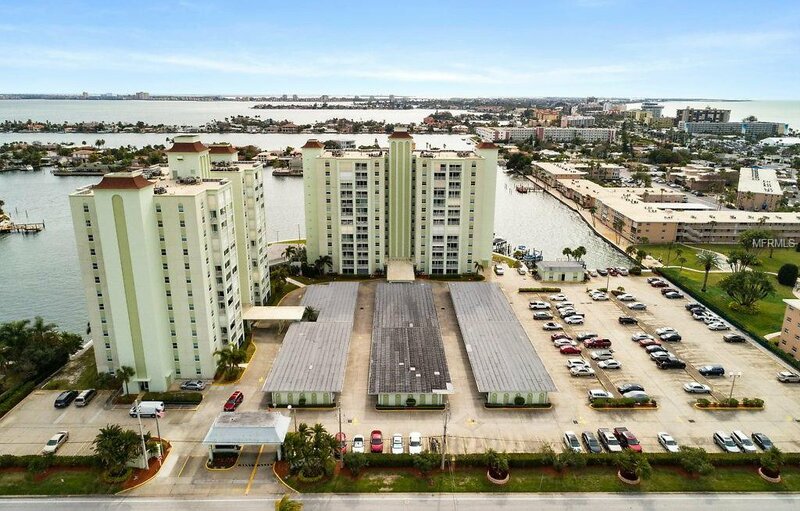 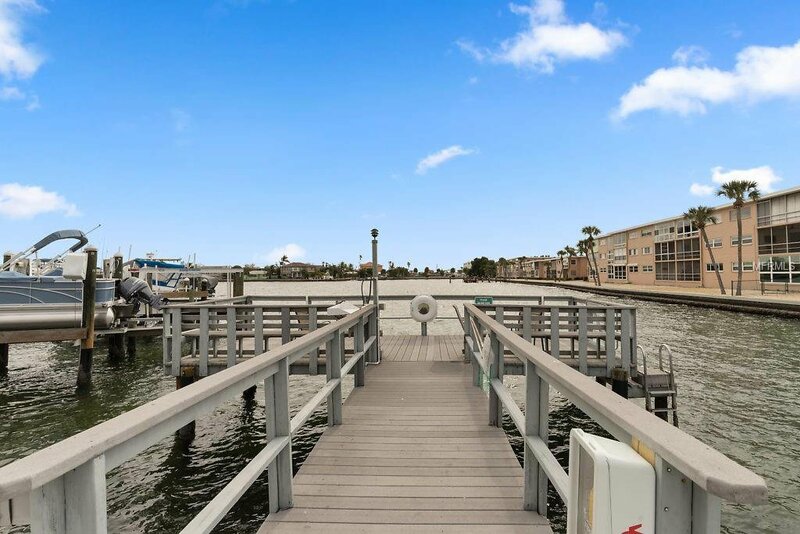 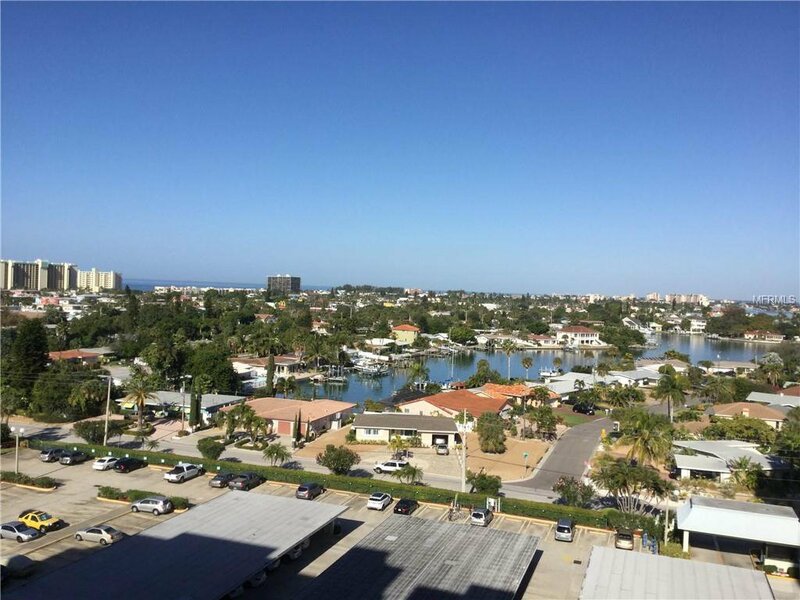 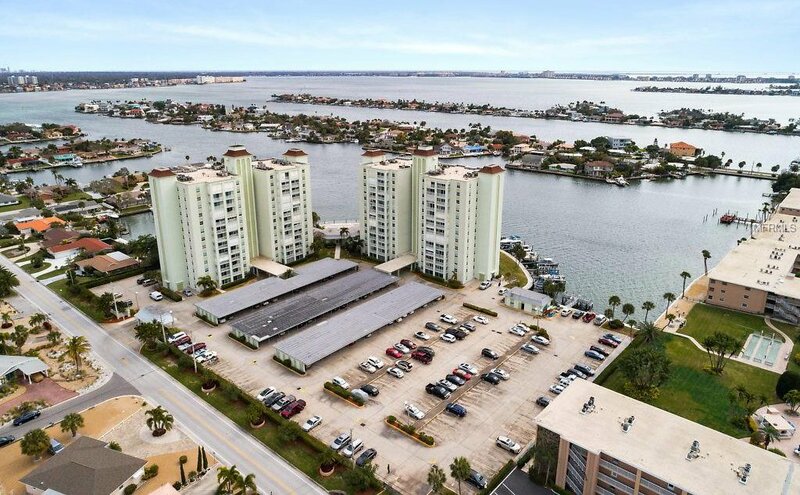 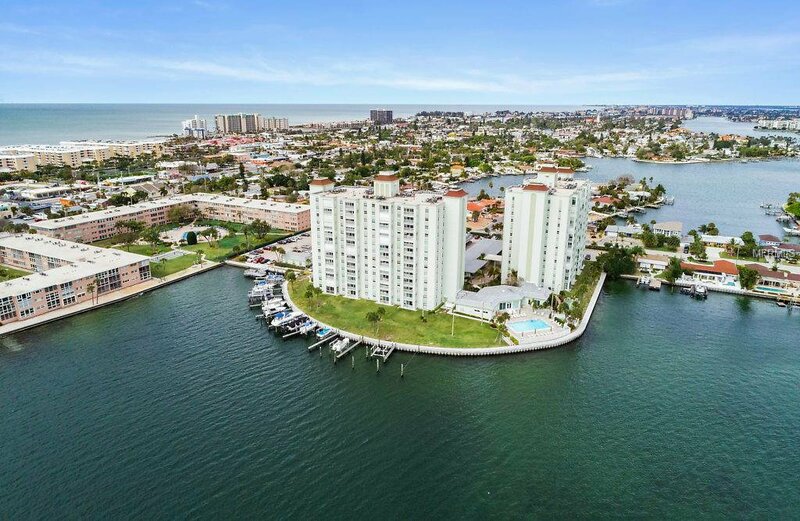 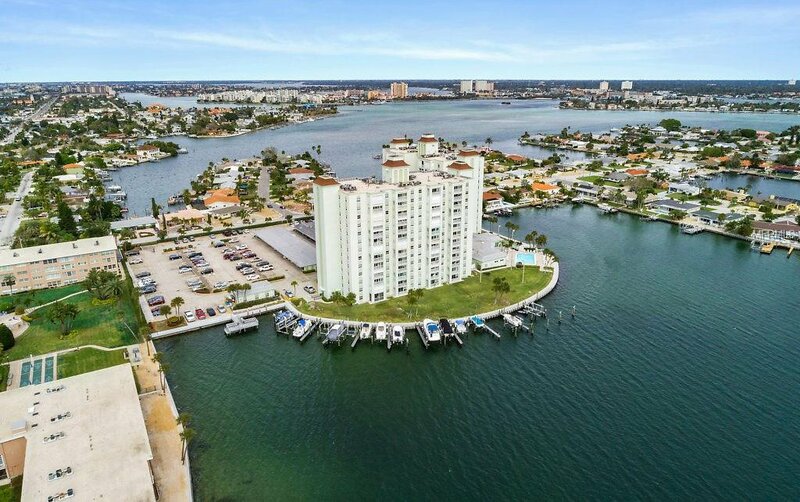 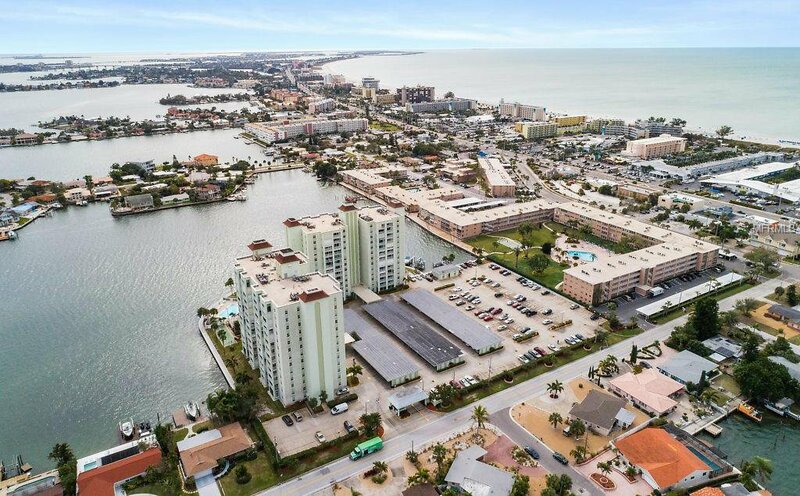 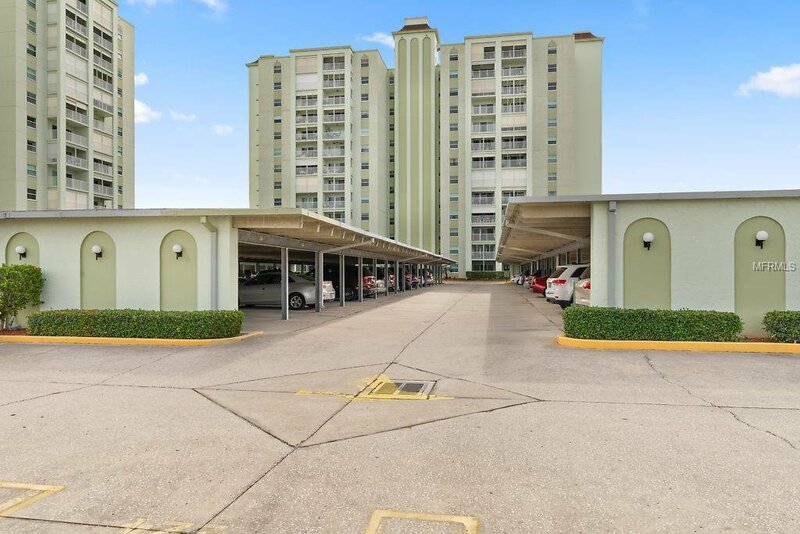 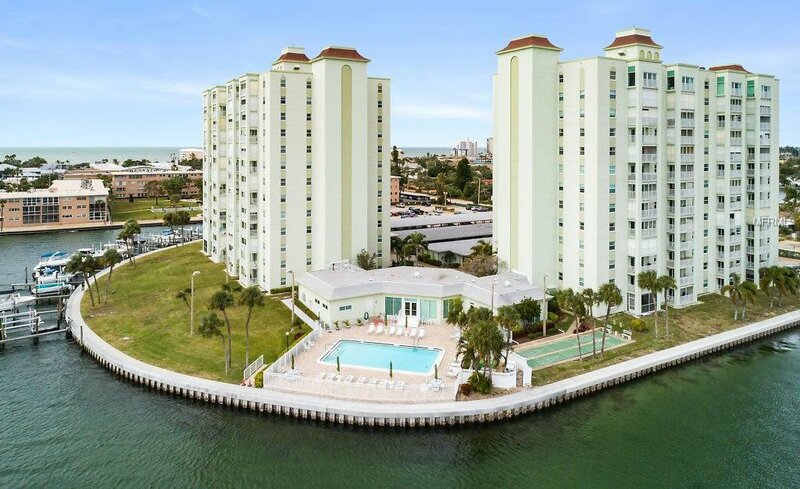 This 2 bedroom 2 bathroom condo located in popular St Pete Beach is waiting for you to come home. 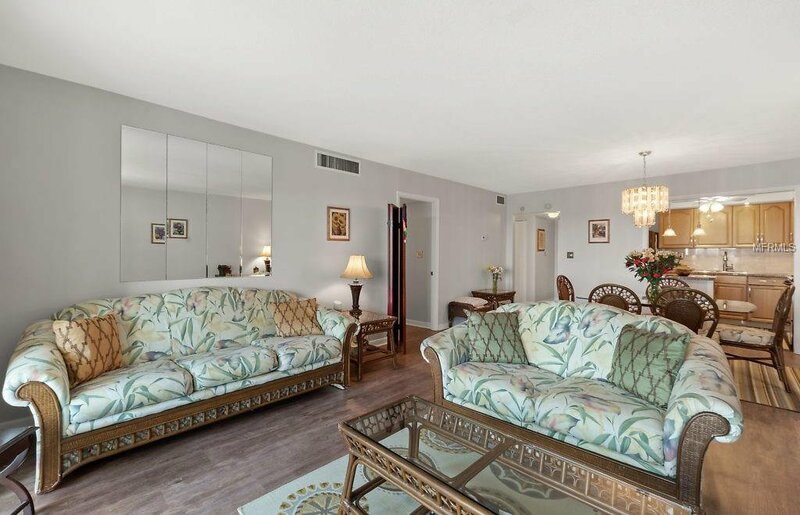 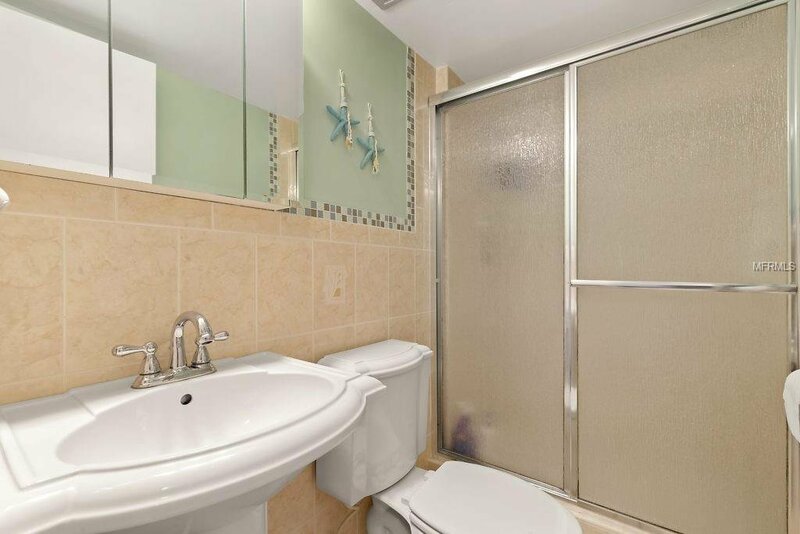 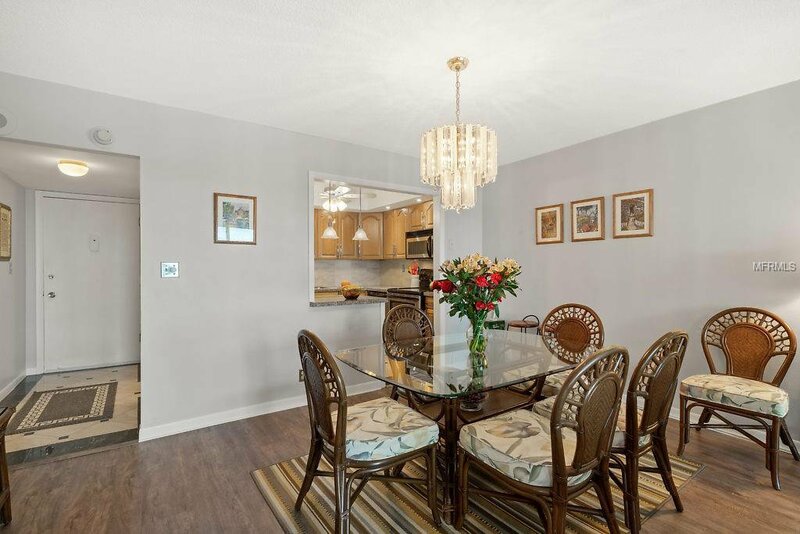 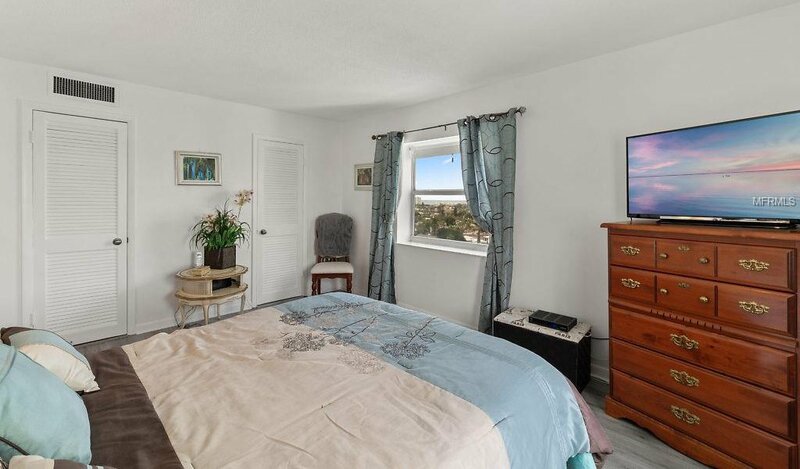 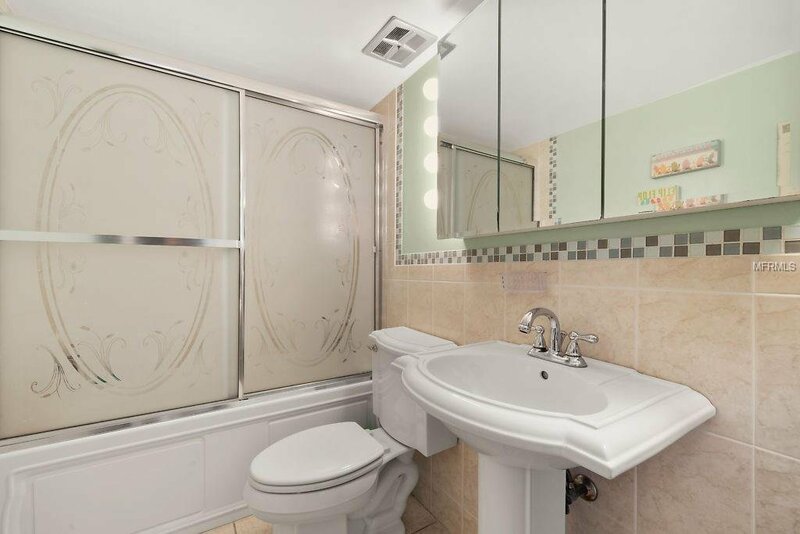 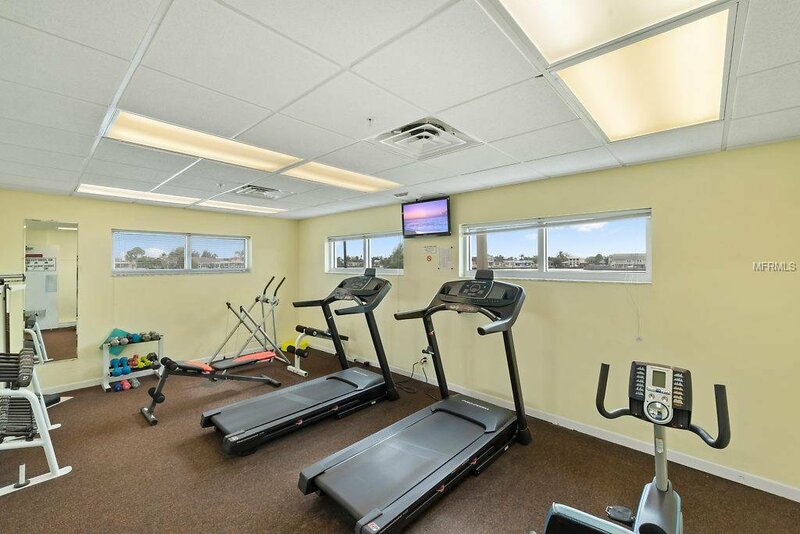 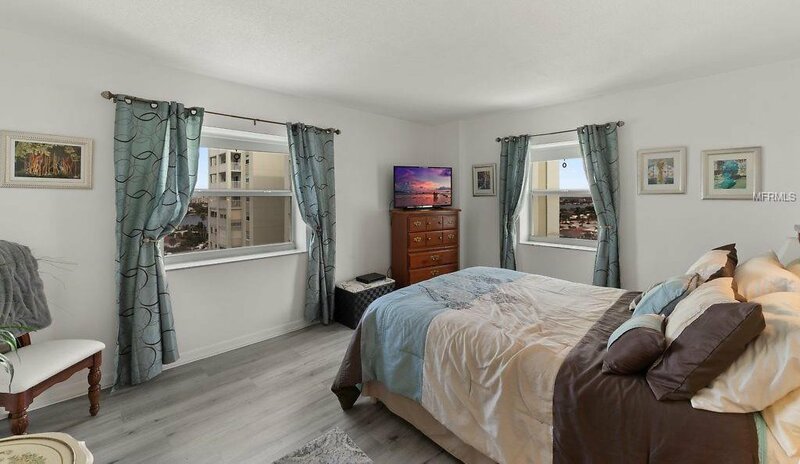 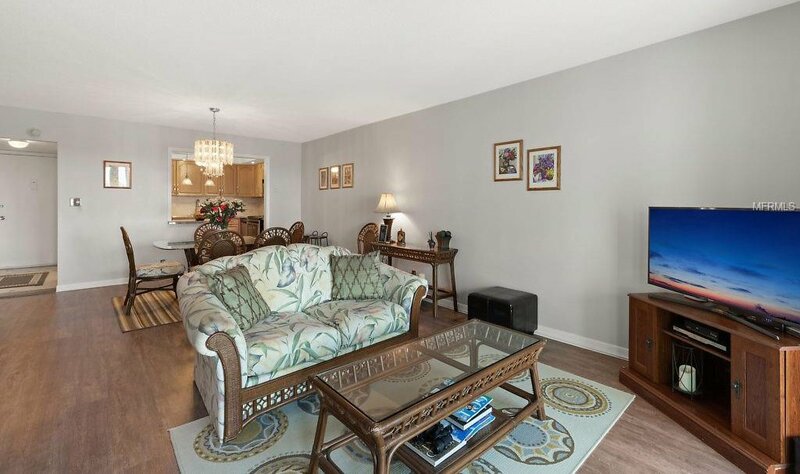 This condo has been meticulously maintained. 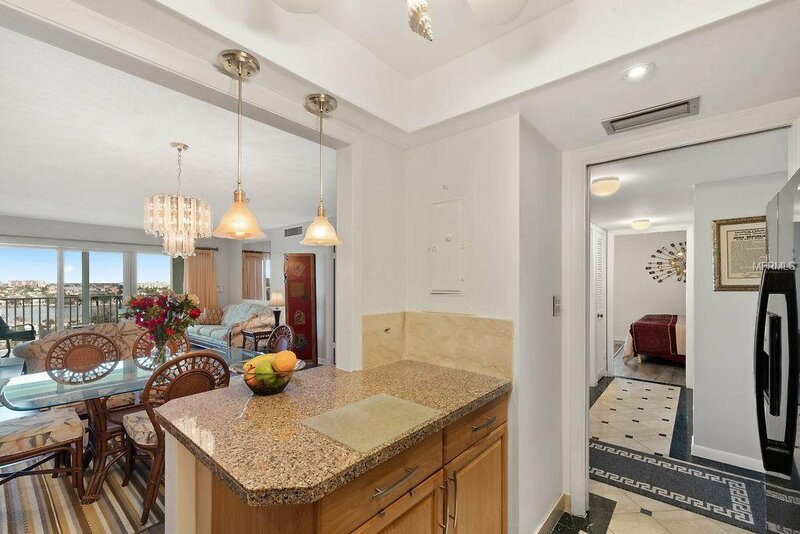 Beautiful marble floors greet you as you enter the front door. 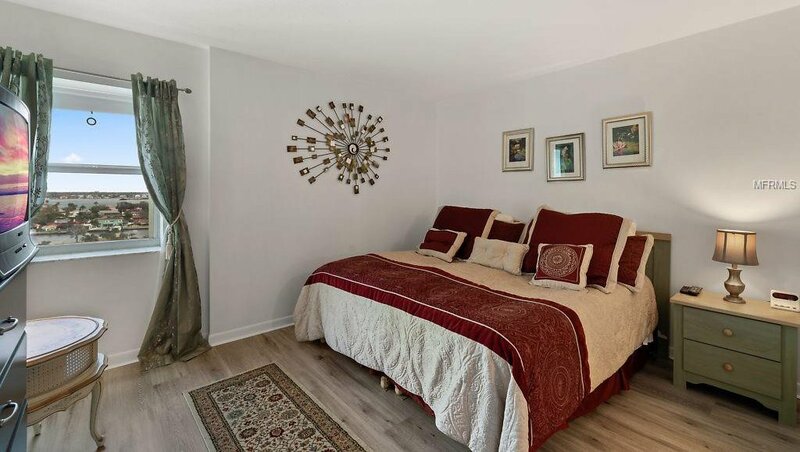 New Vinyl wood plank flooring has been installed throughout the living and dining room as well as both bedrooms. 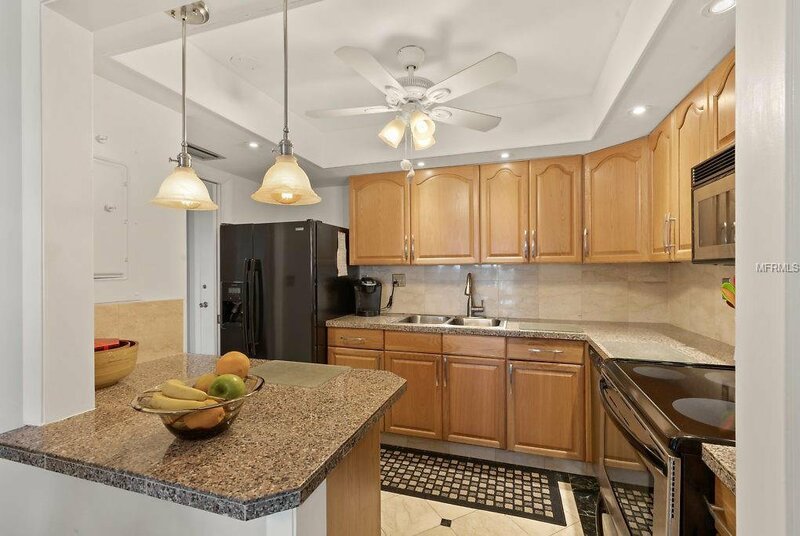 The kitchen has lovely granite counter tops and solid wood cabinetry. 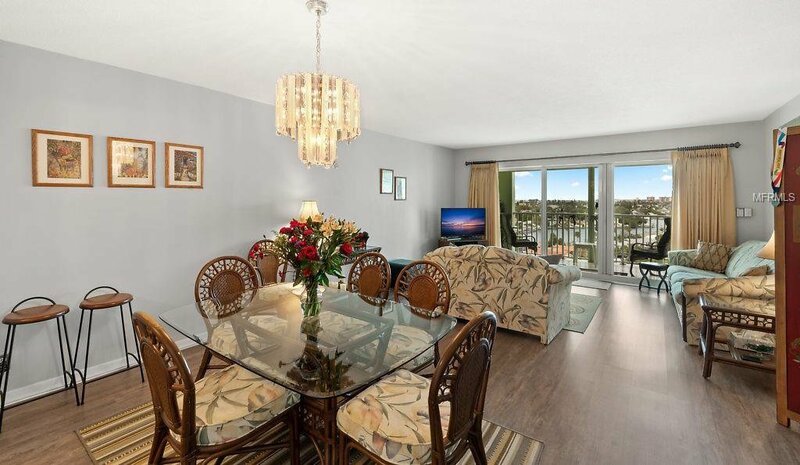 Recently painted throughout the entire condo. 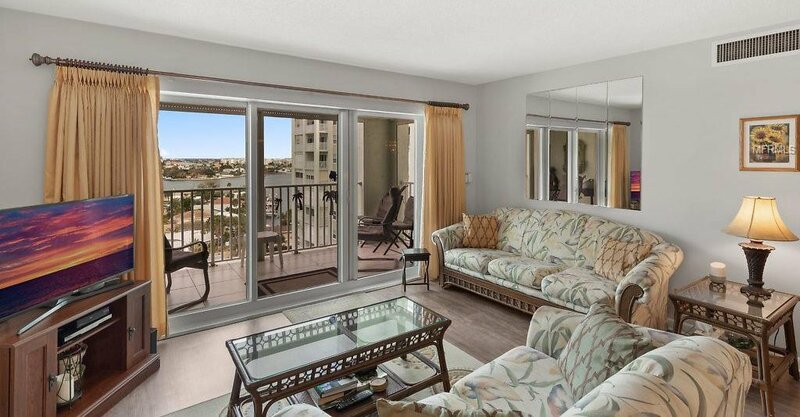 Hurricane impact sliding door and hurricane shutters have been installed on the balcony. 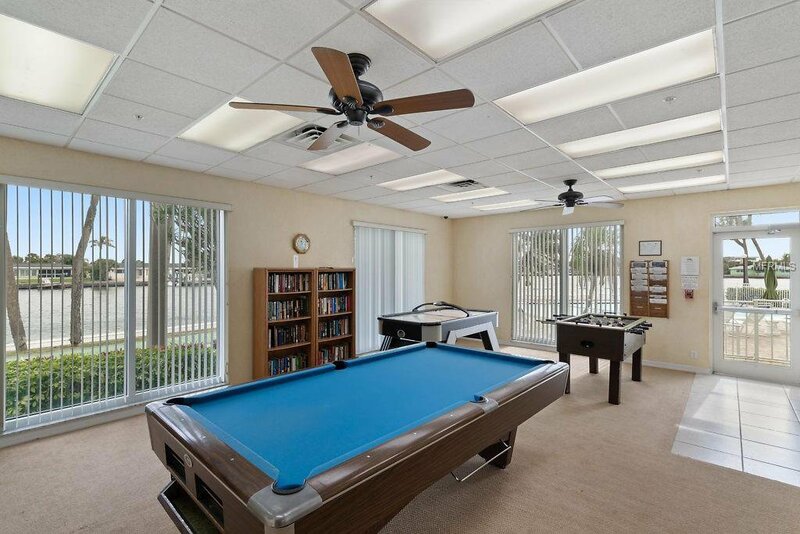 Laundry facility is located right next door to the condo. 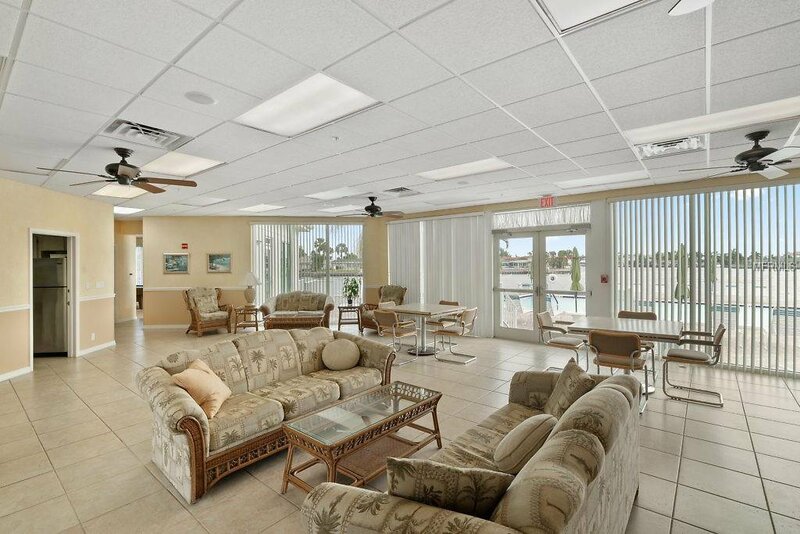 Beautiful heated community pool, boat slips(for lease), fishing dock and so much more awaits you at Three Palms Point. 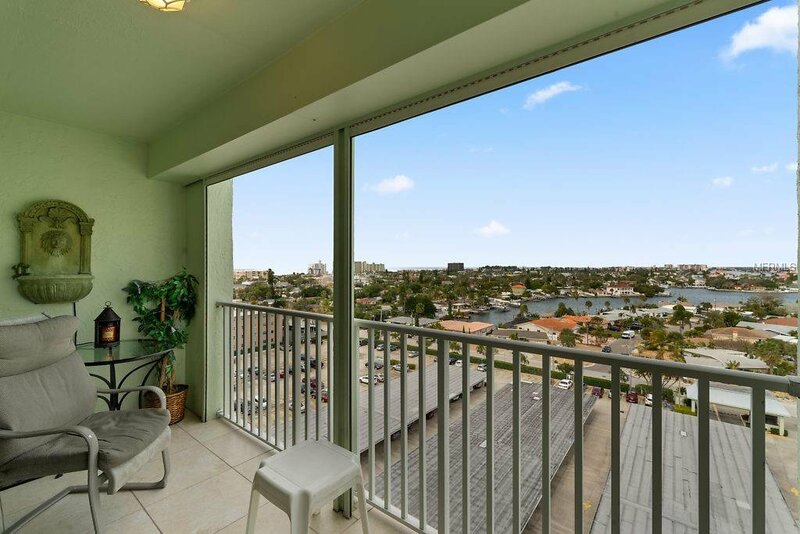 This condo is located within a short stroll to sugar sand beaches , shopping on Historic Corey Ave, and an amazing selection of Restaurants.